Mark your calendars! 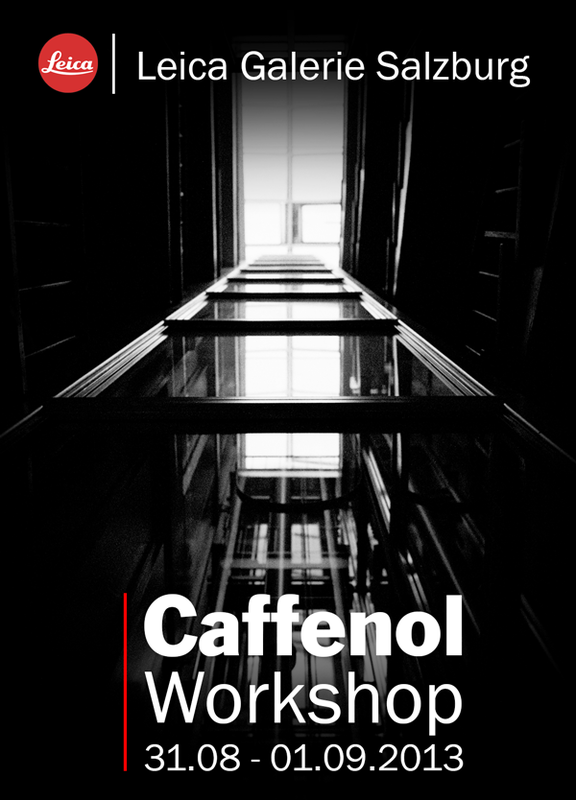 I will teach a 2 days caffenol workshop from 31.08-01.09.2013 together with Marco Spalluto at the Leica Gallery Salzburg. This 2 days workshop is suited for absolute beginners in film developing as well as for experienced users that already develop their films at home. No experience in film developing is needed for this workshop. The only equipment needed is an analog 35mm camera and film. We have a small amount of loan cameras available. We recommend using Kodak TMax 100/400 and Ilford FP4/HP5. If you would like to use other films please inform us in previous consultation. Almost any film including silde film and colour film works in caffenol. Colour films however will come out Black & White in caffenol. How will my film look like in caffenol? Does any film work in caffenol? What are the differences of all the recipes? Travel and accommodation is not included in the workshop price. Please contact us if you need assistance finding a suitable hotel to stay. Workshop language is German and English. This Workshop is over. For new offers, please watch this space. I am looking forward to seeing you there, we will for sure have 2 wonderful days in a lovely city.